Ian Burford’s 1958 TVR Grantura made its test debut last week following the restoration over the Winter. Overall it was very positive. The car worked without major issue and we’ve now established a stable bench mark from which we can develop the car. The car looked stunning and garnered a lot of compliments up and down the paddock. 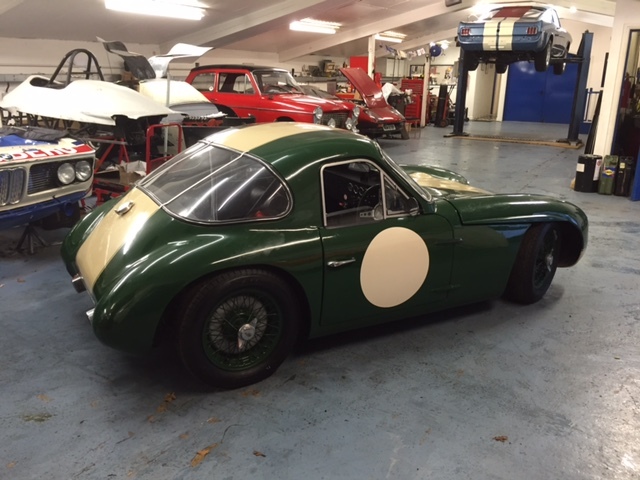 Look out for this one racing in 2019. 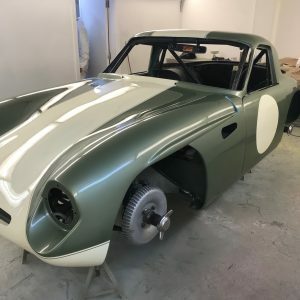 The TVR Grantura-Climax is nearly ready to hit the track. 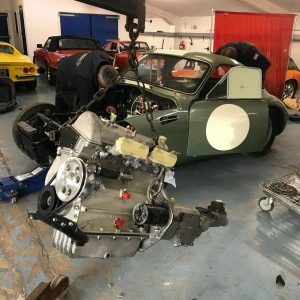 A brand new Coventry Climax engine and a rebuilt gearbox went in today in preparation for the new season. 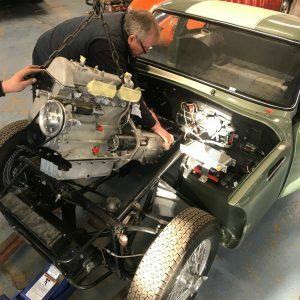 Glyn Peacock built the all steel race engine which will go in place of the original 75bhp version. 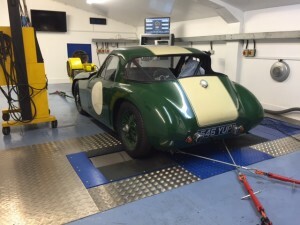 The car is due to be testing on March 18th. 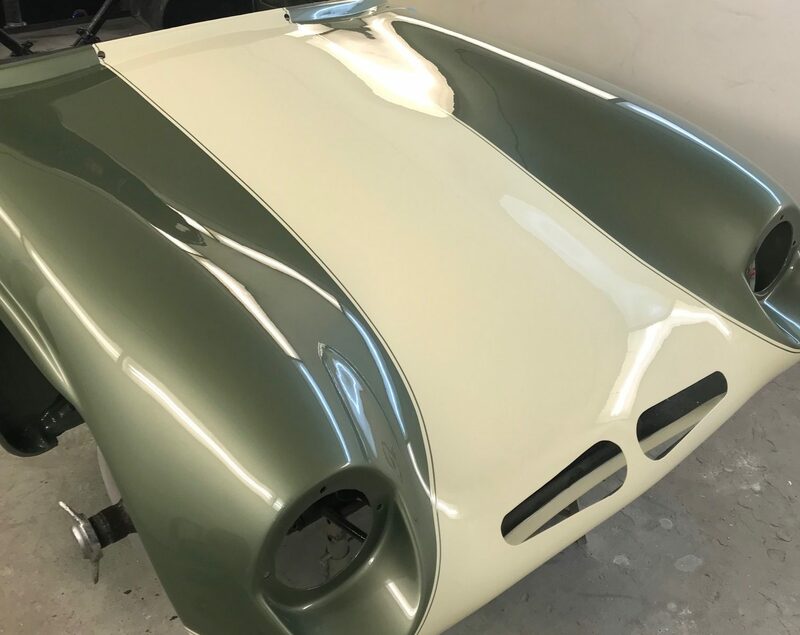 The 1958 TVR Grantura paintwork is finished. 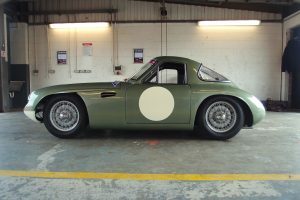 The final colour choice was Aston Martin’s California Sage Green with Old English White for the stripe. There couldn’t have been a better choice. It suits the car perfectly. 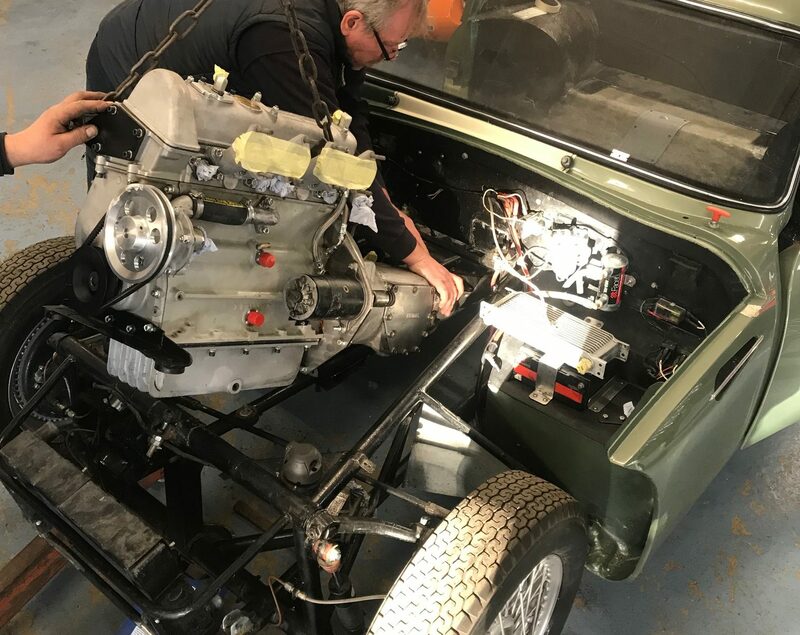 There is a new Coventry Climax engine on the way ready for the 2019 season. 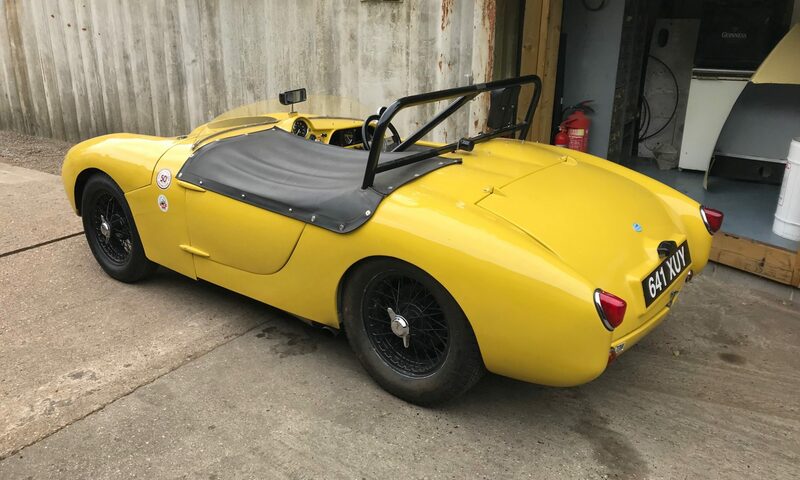 Not often you see one of these. Although you may not describe it as beautiful it certainly is a grower. 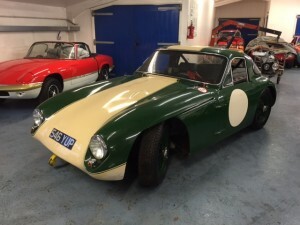 What is intriguing about this little sports cars is their feather weight and high revving Coventry Climax engines. This car suffered from bump steer. 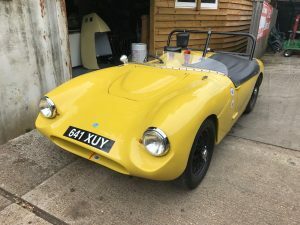 The route of the problem was a narrow chassis with a relatively wide Triumph sourced steering rack. 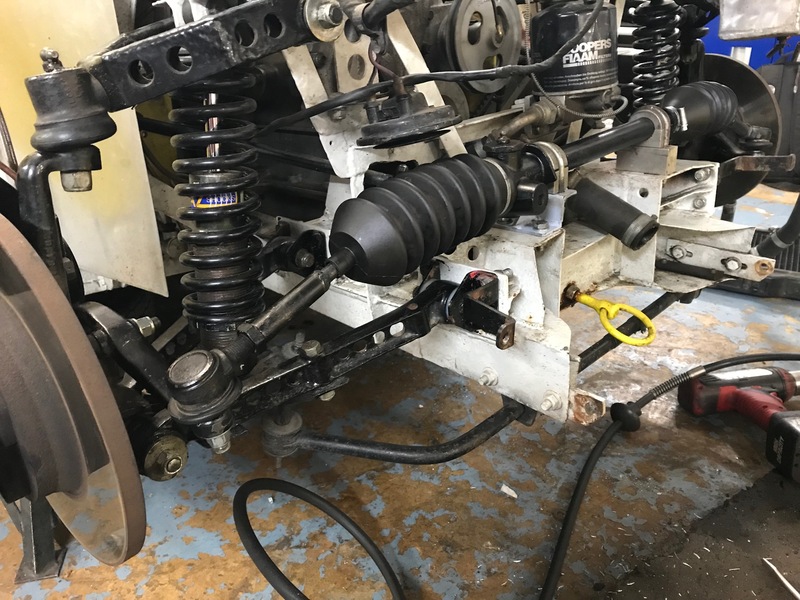 After some careful calculations we narrowed the steering rack to correct to geometry problem. 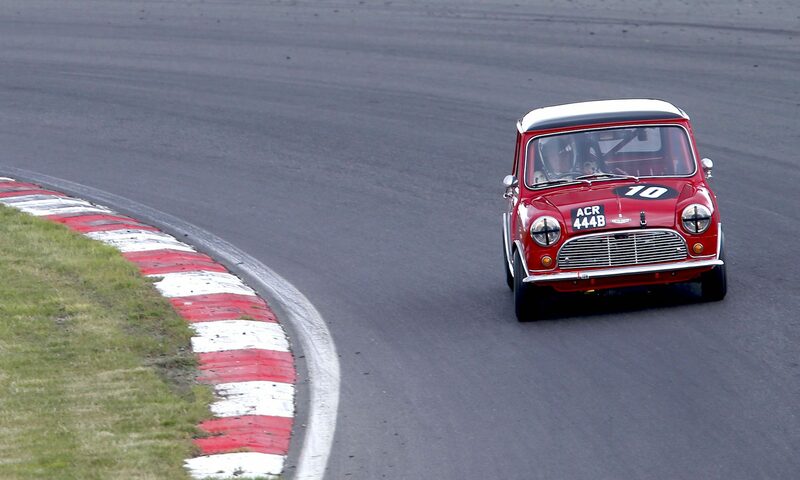 We also fitted a vernier camshaft sprocket and timed the camshaft in properly as well a few other race prep jobs and started the process of applying for FIA papers. 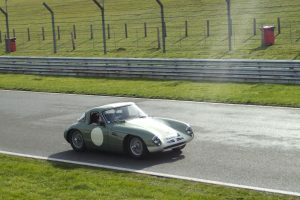 A road test proved that this car is very quick and should be very capable. 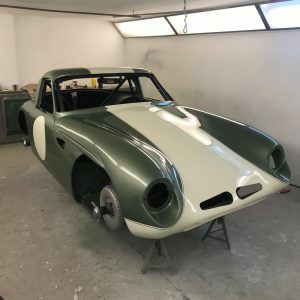 The Coventry Climax engined TVR Grantura of Ian Burford is nearly ready to race. 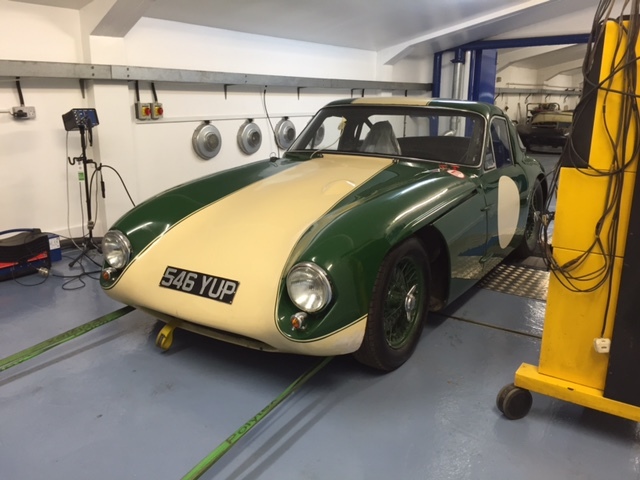 It is now mechanically sound so today we warmed it up and ran it on the rolling road to check everything out. 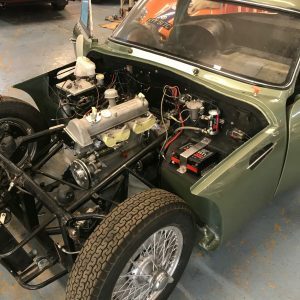 The carburettors appear to be well setup with the correct mixtures. 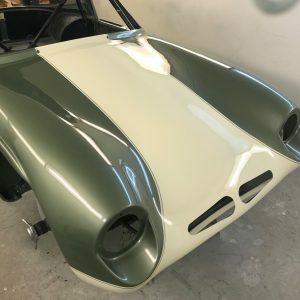 There are a few more jobs to finish off before the car is ready to race. 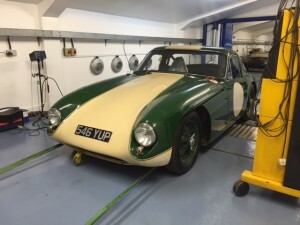 A very rare and very early TVR Grantura has arrived this week. 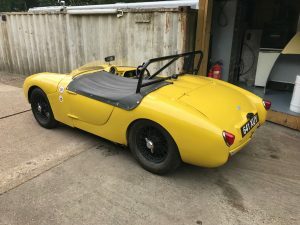 The original Coventry Climax powered car needs some TLC and an up to date race preparation but once complete will offer the new owner a unique drive within a grid of 1950’s sports cars. The car has drum brakes all round but does feature fully independent suspension. 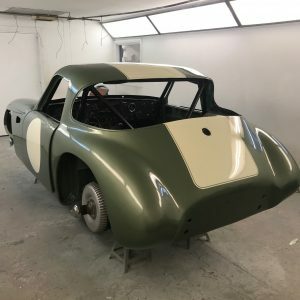 Once properly setup the short wheel base should make for an agile racer that should punch above it’s weight. 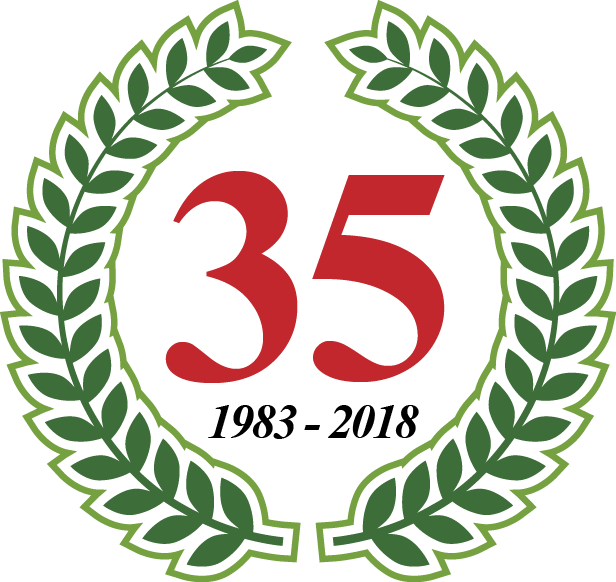 Watch this space for updates on it’s progress.